PETERSON AIR FORCE BASE, Colo. — Recently, customers have brought to the attention of the 21st Comptroller Squadron that pay actions and monetary payouts regarding their Basic Allowance for Housing have experienced long waiting period. The result is a slow processing of pay actions through the validation and approval process. Members can aid in the process when requesting pay adjustments by refraining from turning in non-original or incomplete documentation. Files such as PDF files or photo copies of birth certificates, marriage licenses and divorce decrees are not original copies by themselves; they have to have an original stamp or notarized seal. BAH rates increase and decrease in relationship to the economy. For those that have experienced a decrease in BAH this year, they can solicit guidance from their CPTS professionals. Finance technicians will be able to provide council and the best course of action for their circumstance. Some members may be qualified to be grandfathered into their previous year’s rate depending upon their eligibility. One improvement to the BAH system was the amendment of AFMAN 65-116, Volume 1 that allows for back pay to Airmen for unused entitlements. Airmen can now make a claim for unclaimed funds and receive a check for compensation. This is an improvement in regards to helping families in receiving past deployment benefits and with Permanent Change of Station moves. If service members want to research current BAH rates for their area they can find this information at: www.defensetravel.dod.mil. 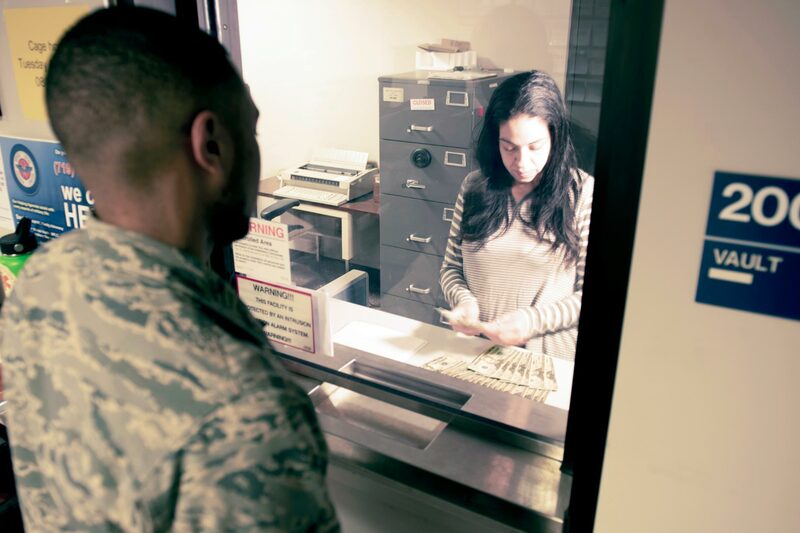 The best advice for Airmen to learn about their pay entitlements is to contact the 21st CPTS office at 719 556-4770 or email at 21CPTS.FMFC@us.af.mil and schedule an appointment.